Joseph is the son of John and Mary D. Grab. Joseph is currently in his sophmore year of High School. Joseph have been playing basketball for 10 years. 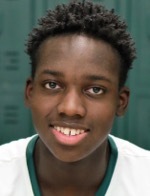 In addition to basketball, Joseph is a member of the Hornet Soccer and Track teams. Joseph's future interests are to attend a Division I college to further his basketball career. Tuttle, Brelo named All-Region Players of the Year. Tuttle named NTL Player of the Year. Hornets 4th quarter rally falls short against Holy Redeemer. Wellsboro uses hot start to down No. 3 Mount Carmel, 73-48. Hornets advance to D4 semis with win over Hughesville. Tigers outlast Hornets in NTL Showdown final. Hornets top Liberty in NTL Showdown semi-finals. Hornets survive late Neumann rally. Hornets top Wyalusing on the road. Hornets survive late Athens rally. Grab's career-high leads Wellsboro past CV. Hornets run past Sayre, 73-33. Hornets run past Wyalusing, 60-32. Hornets pick up 6th straight win against Lewisburg. Hornets top SJNRA for 5th straight win. Hornets handle Liberty, Tuttle grabs 500th career rebound. Hornets topple Williamson, improve to 2-2. Hornets pickup first win of season at NEB. Hornets survive scare at Northeast Bradford.